Another bumper update here at NP! First up, we have even more art from Little Red Rider which can be found in both the Slash and General galleries. Fic wise, we have another gen fic from HunyR0ry called “Aqua Monkees” and a new Torksmith from Lydia entitled “The Razor Edge of Youth-Filled Love”. We also have fics from first-time NP author’s Nowhere Girl and Pinecone who have given us some Micky/Davy fics: “Sometime in the Morning” and “Shades of Grey” respectively. As well as her art, Little Red Rider has also given us two more fics; one Torksmith (“Fifty Shades of Nezred”) and a Mike/Micky fic (“The Bet”). Lastly, we have an 8-part magnum opus Torksmith from Virginia Plain called “Don’t Mention His Name, and His Name Will Pass On”. First up we have a new gen fic from HunyR0ry entitled “The Nightwatch Monkee” and a Torksmith fic from new NP author Lydia called “To A Flame”. There is also a new Mike/OFC fic from long time follower, first time poster Calico Girlfriend called “Soft Dominance”. As well as these fics, we have three new pieces of artwork from Little Red Rider over in the slash gallery. Be warned, not all of them are PG rated! Please remember to leave feedback for the authors! Want Naked Persimmon e-mail updates? Please be aware that this site contains material that is not appropriate for under 18’s. Visitor discretion is advised and all adult material is clearly marked. Thank you. 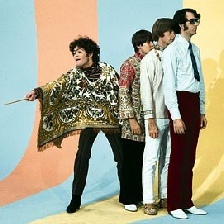 So, another Monkees website, we hear you say? Well, yes and no. Those of you who are fanfiction-inclined (which you probably are, if you have stumbled across us) may have become aware of the recent sad, sad passing of Donatella's Head, which had a rather massive assortment of fiction dating back to around 2001. We are not trying to be what DH once was, but to offer those who enjoyed perusing that site another place to hang out at on the web. In addition, we offer more than just fanfiction here on NP. 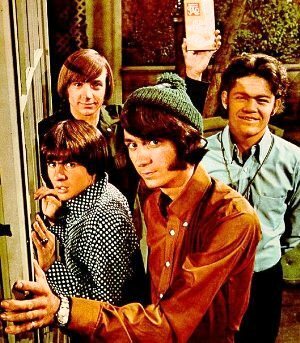 You will find pictures and quotes that may help inspire some of those stories of yours, a discussion board to work through ideas (or maybe just to shoot the breeze on the four guys we all love so much), and a gallery for all of your Monkees-related fan art...and that's just for starters. 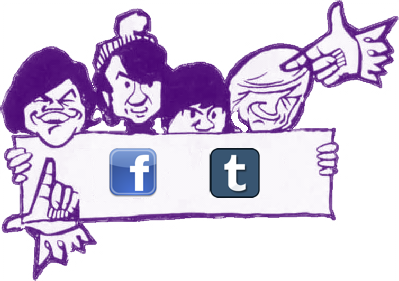 Because people's tastes in fanfiction vary as widely as the range of fans in the Monkee fandom itself, we have split the Fanfiction section into slash and het/general fics, to avoid any problems. All fics will be clearly marked with the necessary warnings (for more information, see the Fanfiction section). We ourselves do tend to favor slash, so you may notice it catered to a bit more than other genres (slash by name, slash by nature!). But enough of us yakking away! Go browse! Take a look around, and if you have any suggestions or feedback, please feel free to use the contact form. Should you wish to submit a story for publication, please use the email address provided. We will review your submission and inform you of our decision as soon as possible.